If you want to talk to Melbourne business owners, you need to work with us. YTM offers sponsors excellent brand exposure to a highly motivated audience. You’ll communicate and connect with all the people in our world in person, online and in print. Why would you collaborate with YTM? We host professionally run networking events for business owners and professionals that offer guests real connection, learning and business development opportunities. These are not card swap events where people leave feeling empty. Our members are proactive, supportive and engaged, and have a genuine desire to succeed individually as well as a group. We don’t just partner with anybody. It’s true. We are selective when it comes to choosing partners because we need them to align with our values, understand the reason YTM exists, and want to work with us to create the best possible experiences for our members. And when we get this right, everyone benefits – especially you! · PUT YOUR BUSINESS FRONT AND CENTRE: Sponsoring an event gives your business authority in your industry which in turn boosts credibility. And the sponsorship goes well beyond just displaying your logo or banner. 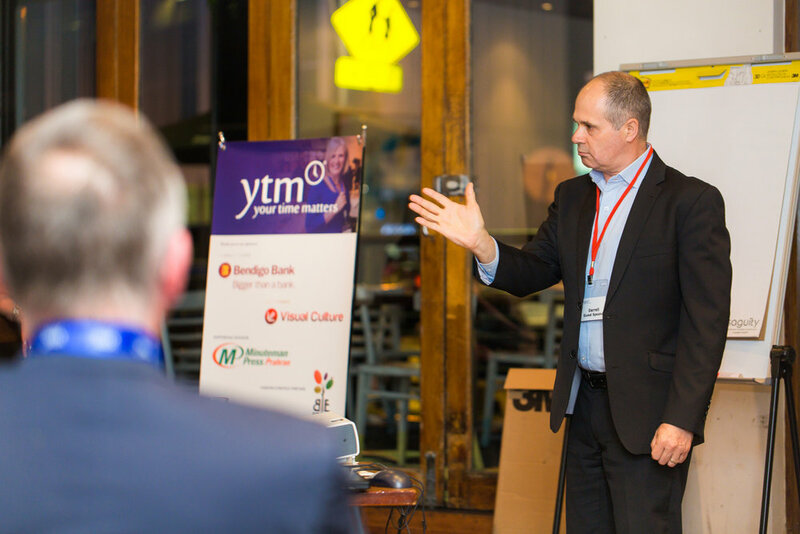 We offer sponsors an opportunity for either a keynote address at a YTM networking event, OR free facilitation of one of your customer events (depending on the level of sponsorship). · GENERATE STRONG LEADS: People are becoming more and more discerning about which companies they do business with. What better way to communicate your values than by sponsoring an event that matches theirs! Your business will be top of mind with an audience full of people who are actively interested in learning and improving their business. · BRAND AWARENESS: Event sponsorship also gives your brand the opportunity to generate awareness, boost the perceived image of your business and even gain media exposure. · INCREASE YOUR REACH AND EXPOSURE TO NEW CLIENTS: Event sponsorship doesn’t just reach the audience in the room. Think about all the ways we promote the event – social media, mailing list, other event promotion – and the audiences who will see your brand as a result. · RECONNECT WITH CUSTOMERS: Events are a great way to engage with past or existing customers. It’s a great opportunity to get feedback on how your services or product has performed. You can also use the event as a chance to educate your customers about any upcoming upgrades, releases or new services. ACCESS TO PROFESSIONAL DEVELOPMENT: As sponsors, you and your staff will be privy to the incredible knowledge delivered by our speakers throughout the course of the year.You’ll also improve your networking skills by regularly attending our events.Discounted membership and tickets to events (dependent on the level of sponsorship), are built into the sponsorship agreement.